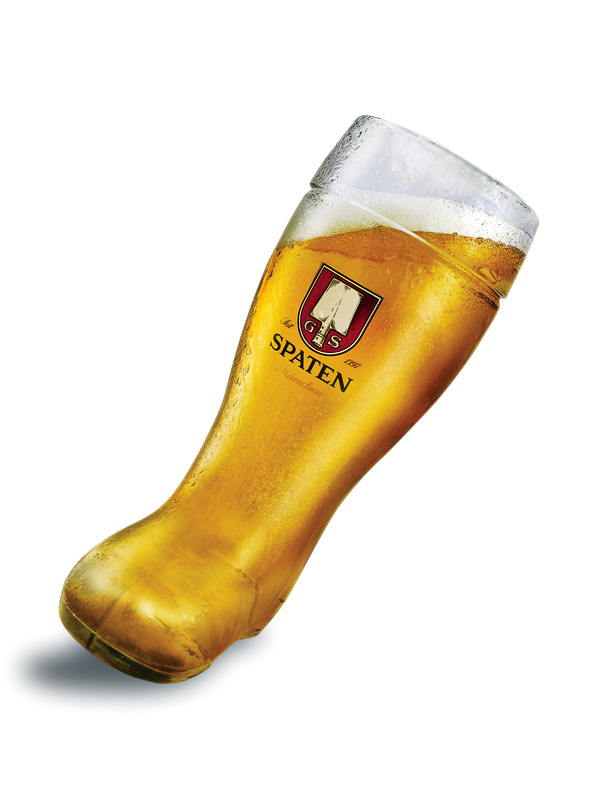 The custom of drinking beer from a boot-shaped glass is common in German themed bars, beer gardens, and the like. Machine pressed beer boots range in size from a shot glass up to 1 litre. The more popular mouth blown beer boots are typically 1 and 2 litres in size. There are several different origin stories for the boot of beer. One tradition holds that a Prussian general swore to his troops that he would drink beer from his boot dependent on the successful outcome in a coming battle. When victorious, the general ordered a glass fashioned in the shape of a boot to fulfill his promise without, ‘having to taste his own feet.’ Another tradition holds that the boot began when German soldiers during World War I having nothing else to drink from instead passed around an actual leather boot of beer before heading into battle. They would flick the boot before drinking from it for good luck and again after drinking to wish the next soldier good luck.